Over the holiday period we were able to get our hands on Alex Kelley, Director of Business Development at Visualizer, and ask him a few questions about the latest render plug-in for SketchUp. A lot of people are using it now for quick render work as it brings simplicity to rendering in SketchUp. We like it very much! You can find out more information about Visualizer here at this link. Thank you for giving us the opportunity to talk about Visualizer. I’m Alex Kelley and I head up our sales and marketing at Visualizer. Who are the team behind Visualizer’s development and creation? Our team is made up of researchers and developers in 3D computer graphics specialized in rendering, and more specifically in ray tracing. Many of us, including myself, have worked in computer graphics throughout our entire careers. Some have come from leading film & design production houses, while others have worked at several of the top professional 3D software companies. How hard is it to use and learn this new plug-in? If you know how to use the camera in your phone, you will know how to use Visualizer. We’re not kidding – it’s that simple! Before we made the decision to develop Visualizer, a few of our team members were using SketchUp at home for their own personal projects and sharing their positive experiences with the team. 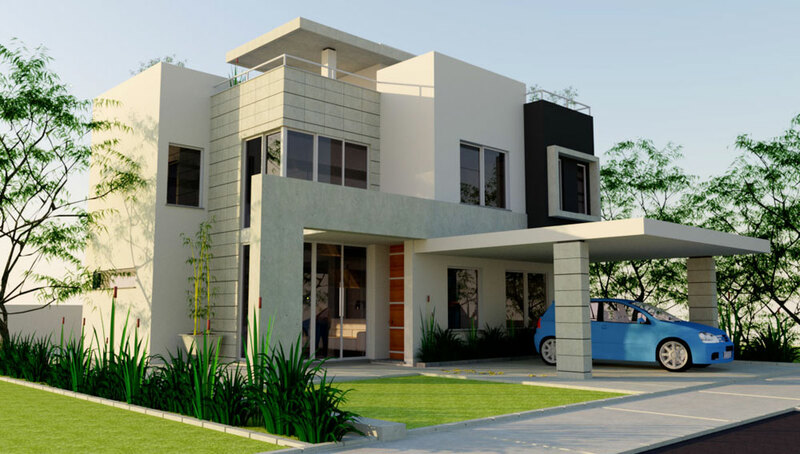 Their common observation was that SketchUp had succeeded in greatly simplifying the task of modeling in 3D, and that SketchUp users are typically in the business of designing things that end up in the real world. Thus modeling is their primary goal, while rendering is usually a secondary consideration. This is in contrast to a visual artist in film & video, where the final product is a picture – so spending several years to learn every feature and control within a rendering package is justified as time well spent. So that got us thinking – would it be possible to develop a rendering plugin that is as simple and powerful as SketchUp’s modeling workflow? We then started looking at how other non-CG companies had tackled and succeeded in simplifying tools and processes for consumers and prosumers that, in the past, had been reserved for the domain of experts. For example, think of what image editing software was like before the introduction of iPhoto from Apple. Through some very long and exhaustive brainstorming sessions, we landed on a smartphone camera experience as our model for bringing simplicity to rendering in SketchUp. It’s a process that anyone with a smartphone camera already understands. By imitating this simple and familiar real world experience, we were confident that Visualizer would be simple and fun and much more enjoyable than attempting to master the clutter of controls that we typically see in the majority of renderers in the market. Can you give us an overview of the core technology behind Visualizer and what makes it so different? Visualizer is based on a path tracing library that we developed over the past several years. Below that are a couple of API layers for rendering on the CPU and for PowerVR™ Wizard GPUs, which are currently under development by Imagination Technologies (our parent company). We know Visualizer integrates with SketchUp but what about its render quality and is it fast? As far as quality, path tracing (the technique we implemented in Visualizer) is faithful to reality and is the “gold standard” by which other rendering techniques are measured. We don’t cut corners in quality for the sake of performance, but we have optimized Visualizer performance extensively and many customers have voiced their satisfaction with the speed and quality. Who would you say this render plug-in is best suited for? Visualizer is well suited for Architects and Designers who want to keep their attention focused on designing, not rendering and who would like to take pictures of their work simply and quickly throughout their work process. We view and promote Visualizer as a communications tool for helping your colleagues and clients to better understand your designs early on in your process. To remain faithful to our goal of simplicity, Visualizer should never be something you offload to a “rendering expert”. Visualizer is always there, ready and waiting to capture the essence of your SketchUp drawings with no fiddling required. Again, it should be no more complicated than the experience of taking a picture of a real scene with your smartphone camera. How positive has the reaction been to Visualizer so far? We have had a very successful launch of Visualizer this year, with the number of customers growing faster beyond our original projections. More recently we were very pleased and honored to have Visualizer featured in a dedicated blog post by SketchUp that characterized Visualizer as “Simple, fast, fun: three adjectives that are often used describe SketchUp” When we saw that quote coming from the SketchUp team, we felt we had accomplished our original goal of making rendering as simple as it is to model in SketchUp. Is your latest release of Visualizer compatible with the latest release of SketchUp (2015) and are there any issues? Yes, with our latest version Visualizer 1.2 supports SketchUp 2013-2015 on both Windows and Mac. We have also begun our internationalization initiative with the introduction of localized versions of Visualizer in both Spanish and Portuguese. There will be support for more languages in the coming months, with the goal of supporting every language that is supported by SketchUp. This is in addition to the new picture-making features that we have planned for upcoming releases. 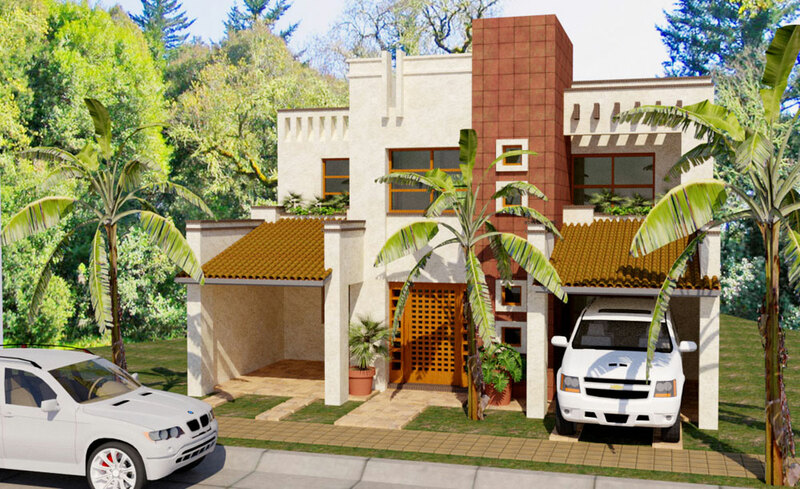 “Vivienda Unifamiliar Tipo A” by Juan D. Render by Will Anielewicz. What kind of support do you offer and is there Forum support as well? One final question…what’s in the pipeline? Glad you asked. We have some great new features that are under development planned for release in 2015. In the short term, we will finish our internationalization initiative. In Version 1.2 we started publicly with Spanish & Portuguese, and will continue with a variety of other European and Asian languages. Longer term, we plan to introduce better lighting and materials, without compromising the intuitive direct experience that our customers love. Thanks Alex for giving us your time. We are all looking forward to the next batch of developments, especially the lighting and materials, but please don’t complicate it too much. We love Sketchup’s simplicity and that is obviously inherent in this great little renderer! If you would like to find out more about Visualizer and how to instantly transform your SketchUp models into photos without needing any complex settings, check out their website here. I recently discovered Visualizer and i’m stunned! it is amazing, it made my life so much easier! I’ve been reading about the Visualizer and how it supposed to work ‘instantly’. On my computer, it takes a bunch of hours to render a GOOD image, and more than a day to render a GREAT picture. Is that normal? The graphic card drivers are up to date. I know the processor, and specially the Graphic cards are obsolete, but could it be the reason of such a delay for rendering?